Read the open access PDF here: Phillip Wright, Janet Kelsall, Guy Healing, Julie Sanderson. Differential expression of cyclin-dependent kinases in the adult human retina in relation to CDK inhibitor retinotoxicity. Archives of Toxicology, p1-13 (2019). 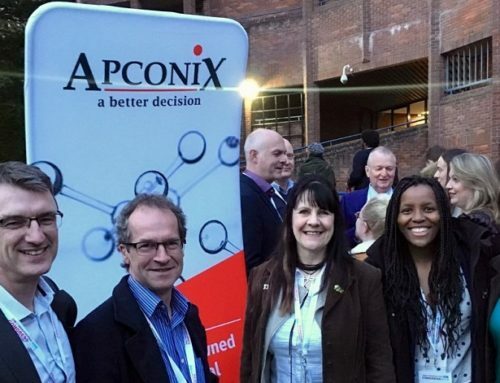 Dr Guy Healing is a Senior Toxicologist with ApconiX Ltd. Until 2016 he was an Associate Director in the Drug Safety and Metabolism department at AstraZeneca, heading up the Regulatory Submissions Group and the Study Monitoring team. He started his career working for the Medical Research Council at the Clinical Research Centre at Northwick Park Hospital in London, followed by a brief spell working at a large pre-clinical CRO. He then spent five years with Schering Agrochemicals, before joining AstraZeneca (formerly Astra) Pharmaceuticals in 1996. Guy has extensive experience in monitoring and directing pre-clinical studies, has sat on Project teams and managed groups of Project Toxicologists and Study Monitors. Guy is a European and UK Registered Toxicologist, a Fellow of the British Toxicology Society and a member of the Panel for the UK Register of Toxicologists. He sat on the BTS Executive Committee as Treasurer of the Society between 2010 and 2016, and edited the Society Newsletter between 1995 and 2005. He is an Editorial Board member for the Journal of Applied Toxicology and Toxicology Reports and has published widely in peer reviewed journals, as well as editing textbooks on preclinical infusion technology.